Exploring the amazing world of fake meat at one of the best Vegetarian restaurants in Rockville, DC foodie suburb. Can’t believe its not real meat, looks and taste just like a real meat. We love our meat especially bacon, but sometimes its fun to try to new and unique things. Hey its almost the same thing when it taste just like real meat. Though maybe more like chicken then beef. 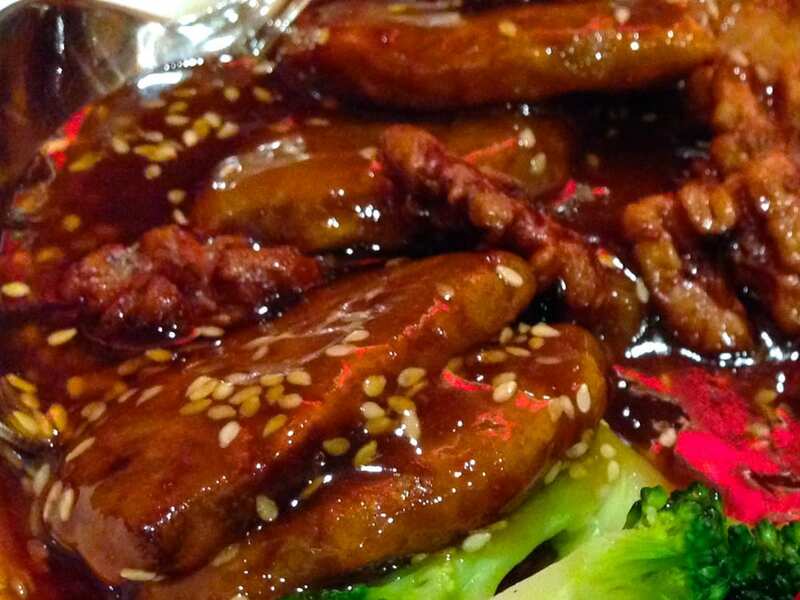 You are pretty much ordering a vegan sesame beef. 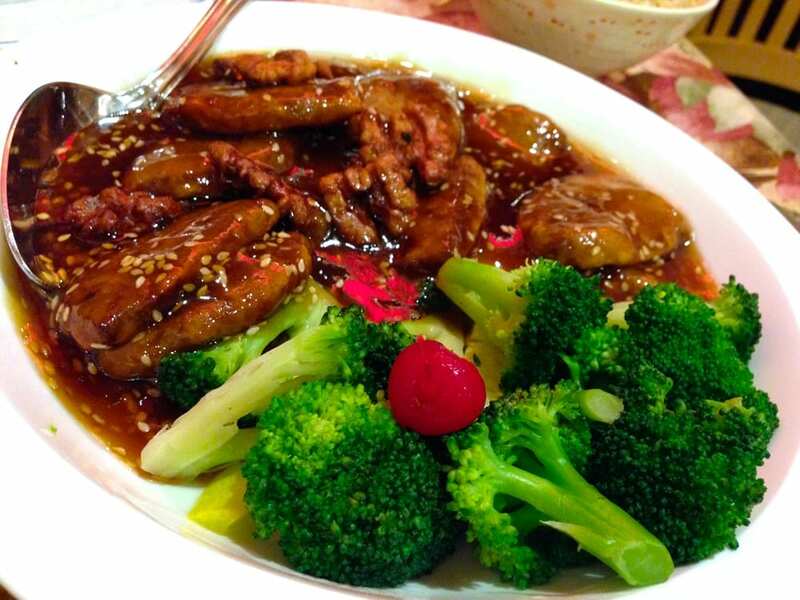 Very light and soft, this is one very nomnom dish. Served with a side of white or brown rice. 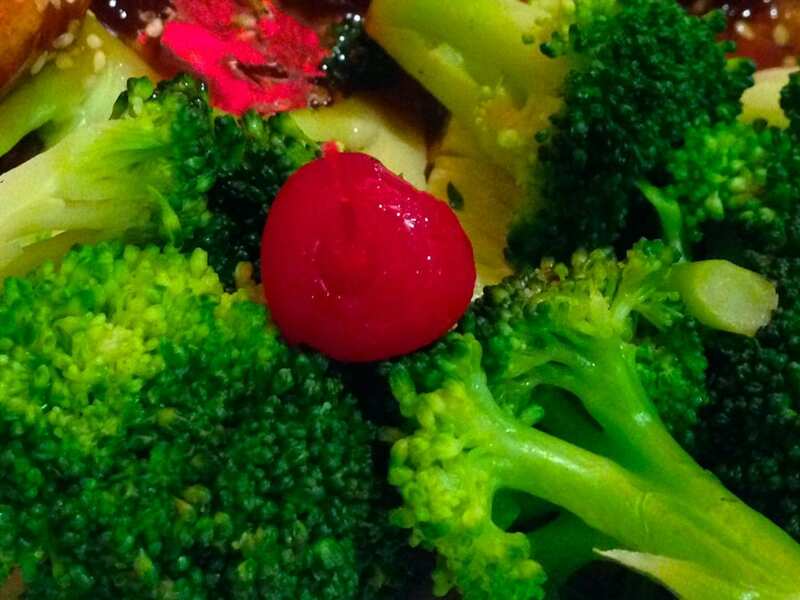 I thought mix vegetables means several different veggies, but it was pretty much all brocolli. Could have been ok if they were amazing, but they were just too bland. Just make sure to dip them in a nice sesame sauce and its all yummy all over. There is a cherry on top, which is kind of weird since its not an ice cream, or is it? Excellent strange dish that any Vegetarian, Vegan or even meat lovers will enjoy.